If you were lucky enough to pick up the New York Comic Con 2016 Exclusive Glow in the Dark Incognito 5” Dunny by TwelveDot last weekend (originally seen here), then you definitely need to get your hands on its companion piece! 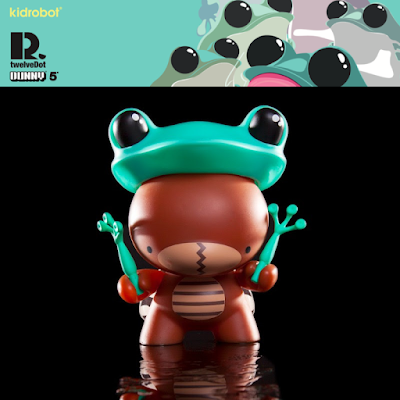 The standard edition Incognito Dunny features Kidrobot’s iconic Dunny disguised in TwelveDot’s signature Apo Frog hat and arms. He also features translucent spotted wings and a striped stomach. The Incognito Dunny 5” Vinyl Figure by TwelveDot x Kidrobot is limited to just 1,000 pieces and can be purchased now at the Entertainment Earth online store for $34.99 here.